Do you have skills and time to offer Krizevac Project? None of the work we do would be possible without the input of some expert volunteers. We only recruit international volunteers where we are unable to fill the vacancy locally in Malawi; we do not aim to take away Malawian jobs. 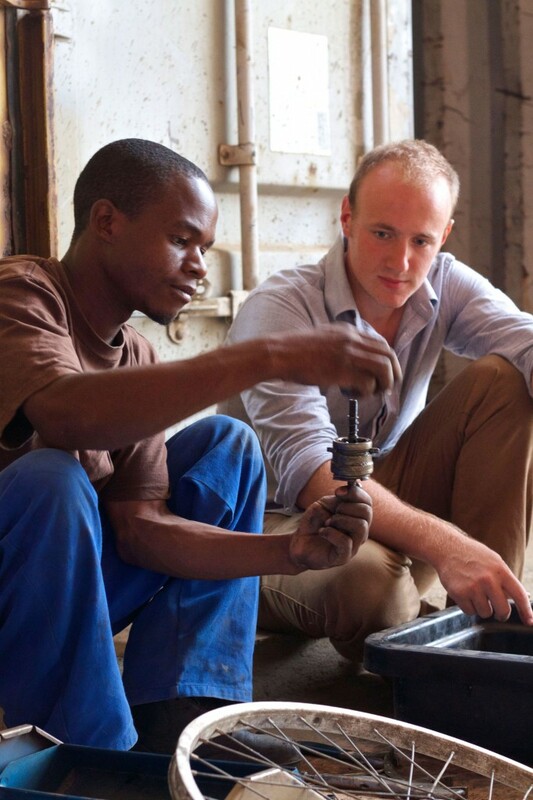 In fact all of our volunteers work to build the capacity of their Malawian colleagues and team through mentoring,support and leaving their skills behind by training their Malawian team. Have a look at the following video and check our current vacancies below, then please do give us a call to discuss! If you’re adventurous, joyful and want to change your own life as well as others, then one of the following roles may have your name on it…..
We seek an experienced and qualified Architect to work alongside our local team and international staff to lead the conceptual designs for a large primary and secondary school (to complete our educational campus which already has a vital children’s centre and IT Academy) as well as a new Shrine site located close to the Krizevac Cross on Mount Michuru. All of our buildings are building using hydra-form blocks which we make ourselves onsite, you can see more about this on our videos page. Phone 01543 888494 for further information. Applicants must be available for an interview in person at our Staffordshire office. We seek an experienced and capable structural design engineer, for a six month voluntary placement (flights, insurance, accommodation and board offered) in Malawi. The successful candidate will work with the local construction team to complete the detailed designs for a large primary and secondary school which will transform education for thousands of local children. 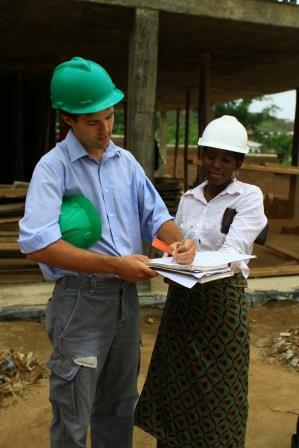 Role: We seek a qualified and experienced accountant to support our busy non-profit enterprises. Beehive has a dedicated and busy finance team who support eight different business units, these range from a large plant rental enterprise to a tiny bookshop, all make a trading surplus to support Mother Teresa Children’s Centre. We are looking for an accountant to support the ongoing development of the training team and to carry out internal audits to identify areas for improvement. This is a voluntary role with flights, insurance, accommodation and board offered. We are looking for a volunteer Production Manager to support the local Malawian Cycle of Good team to develop and implement efficient production systems within the tailoring workshop. Cycle of Good in Malawi manufactures wallets, bags and more from recycled materials, mainly old inner tubes, for sale internationally. The team are dedicated and well trained but would benefit from support with process improvements to help the achieve production targets. The successful candidate will have worked within industry and be accustomed to auditing systems, implementing change and supporting managers to maintain efficiencies and improvements. You can read more about our Cycle of Good project at www.cycleofgood.com This is a voluntary role with flights, insurance, accommodation and board offered. Unless otherwise stated Krizevac Project covers the following expenses: flights, visas, insurance, accommodation and board for the duration of the placement. All volunteers are asked to complete a DBS check prior to a position being confirmed. All posts are offered to unaccompanied volunteers only, we cannot accommodate families. For more details or if you are keen to apply, please call George on 01543 888494 for details of our recruitment procedure and the in-country support that we provide. ALL APPLICANTS MUST BE AVAILABLE FOR A FACE TO FACE INTERVIEW IN OUR UK OFFICE. ALL SUCCESSFUL APPLICANTS WILL NEED TO SUBMIT 2 REFERENCES AND COMPLETE A POLICE CHECK. Have a look at our “Volunteers through the Years” Timeline to see experiences and testimonials from previous volunteers.